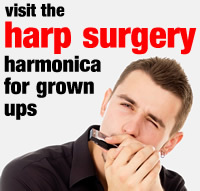 When you start harmonica, it can be hard to play ten holes. 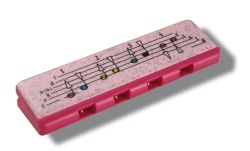 So Hohner make a special harmonica with the four most important ones. The holes are bigger too, so it’s easy to play. It’s called Speedy and it’s great for learning new songs. To hear Speedy, click the green button. Now see if you can play all the notes. Each hole has a number from 1 to 4. B is blow (breath out). D is draw (breath in). We give each note a name too. You can see our tune printed on top of the harmonica! Speedy comes in blue, pink, black or yellow and is easy to carry in your pocket or in your school bag. Just wanted to let you know that I really miss going to harmonica, I’m still playing at home though. When I moved school I wasn’t really worried about leaving my friends but stopping harmonica, it’s something I really enjoy. Just wanted to say hello and I hope your well.